Your FoxyProxy accounts come with both VPN and proxy service. 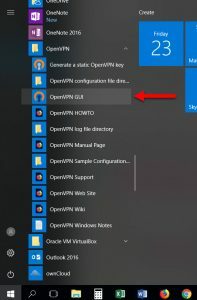 These instructions explain how to connect to your VPN accounts using a method called OpenVPN. It is the best choice when you have many different countries/cities with FoxyProxy because switching between them is easier than with IPSec VPN or PPTP VPN. Also, OpenVPN is more secure and faster than the IPSec and PPTP. 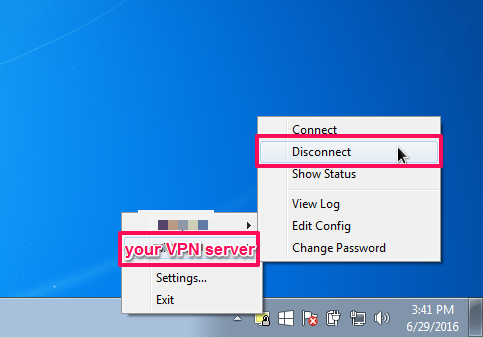 Download the OpenVPN software from here (.exe) or here (zip), if the first link does not work. 1. 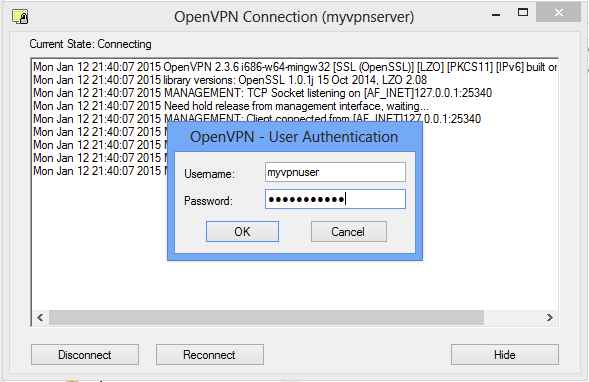 Import the OpenVPN configuration files. If we did not email these files to you, please retrieve them from the FoxyProxy Control Panel, go to the Actions menu and download the OpenVPN configuration file for each of your locations. If you have many of them, click Download all Tunneblick/OpenVPN files as zip instead. If you have any trouble downloading the files, contact FoxyProxy Support and we’ll be glad to email them to you. 2. 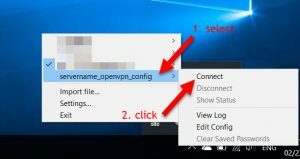 Click start button and open OpenVPN GUI app. 3. OpenVPN icon will appear in your tray. Right click the OpenVPN GUI icon and click Import file menu item. 4. 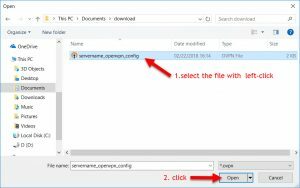 Navigate to download folder where you stored the OpenVPN configuration file(s) in step 1. Select the file(s) and click the Open button. Alternatively you can just double click the file(s) in this window. After you do so, the file(s) will be imported in OpenVPN. Click OK.
5. Now right-click the OpenVPN GUI icon located in your system tray. The new connection is imported there. When you have more OpenVPN connections already set up you need to select it and click Connect. 6. 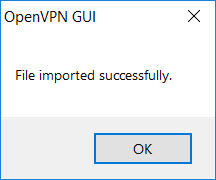 The OpenVPN connection status log window will open and prompt you for your username and password. Enter the credentials provided to you in your welcome e-mail, then click OK.
7. You’ll know the connection was successful because you’ll see a status message stating “Successful ARP flush on interface” at the bottom of the log. The status window will then close soon after. 8. You may see a status bubble appear from the tray icon indicating a successful connection to the OpenVPN server. 9. 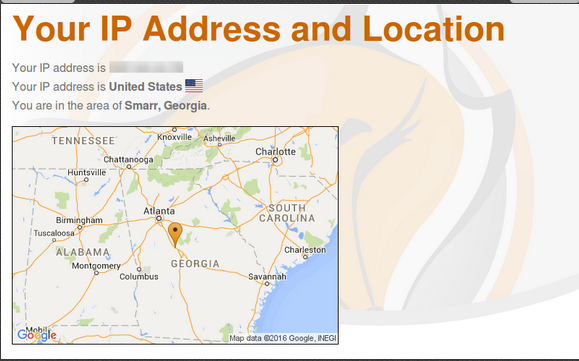 Test browsing to http://getfoxyproxy.org/geoip to confirm your IP address is that of the OpenVPN server. 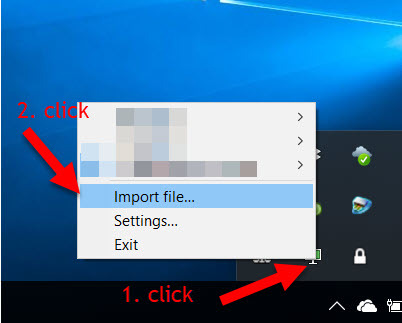 To disconnect from the VPN, right click the OpenVPN icon in the taskbar, point the cursor to your VPN connection and click Disconnect.